The Dreaded Zinc Pest strikes again! 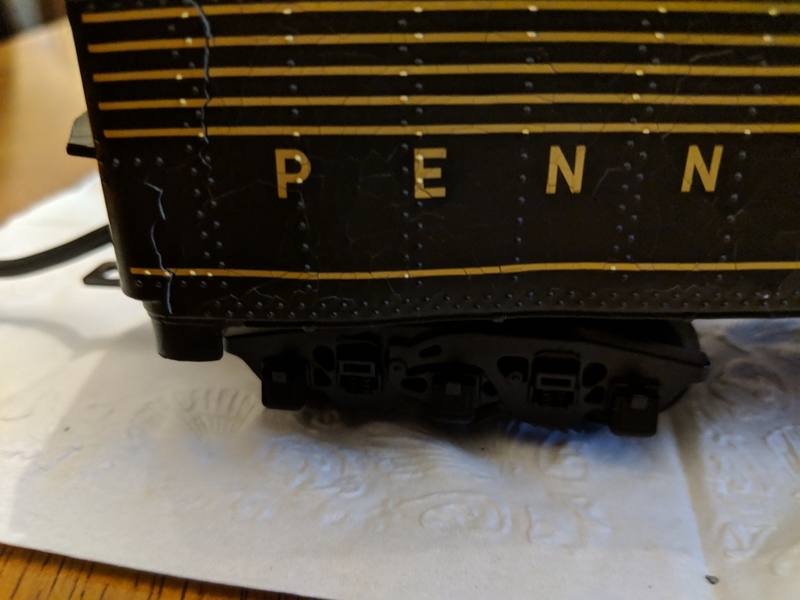 While preparing my Lionel Florida East Coast E-3 A-A diesel set to run at my annual holiday Open House, I discovered that the underframe detail on my passenger cars is suffering from zinc pest. On one of my cars, the detail plate is severely distorted and on yet another there are signs of a similar fate. This set was produced in 2004 and has been on my shelf along with my other trains. I think I last ran this set 5 years ago. I have just been on the Lionel site and placed an order for 3 underframe detail parts and have my fingers crossed that they will still be in stock. I have previously reported on the problem with the body of the MTH P5a boxcab and that remains unresolved. 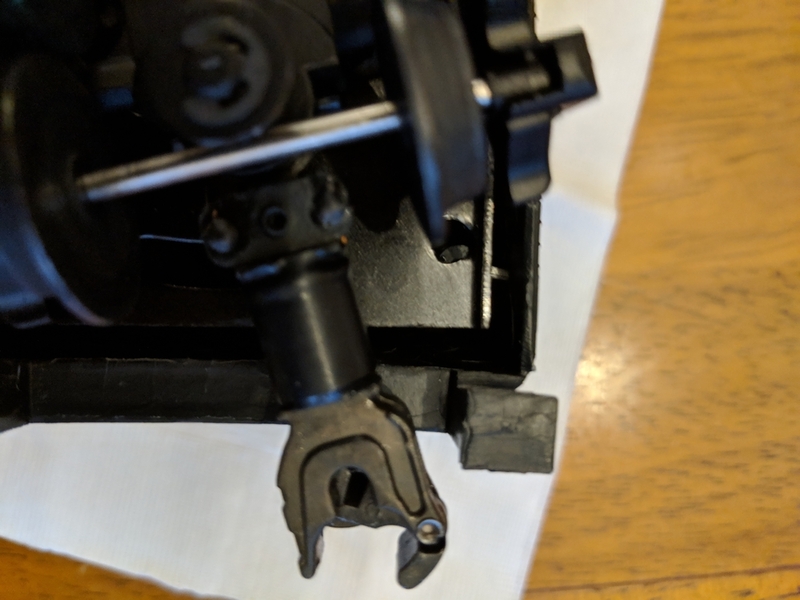 I have also had problems with Lionel freight trucks, K-line passenger trucks, 3rd Rail freight trucks, and Williams Peter Witt trolley frames and motor trucks. 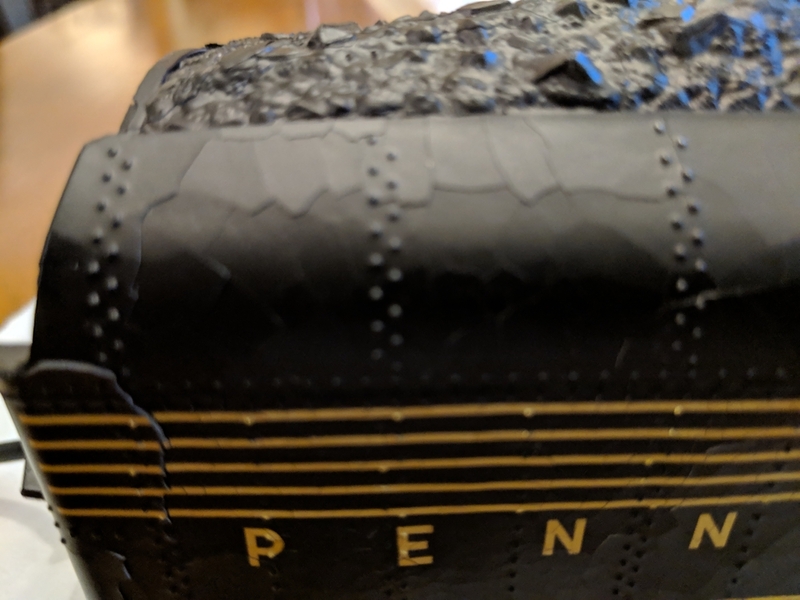 Being a long time collector of vintage trains, I am quite familiar with casting impurities/zinc pest and it comes with the territory. How very unfortunate that casting issues still persist. Just to end on a positive note. Our Open House was again well received and due to the generosity of our visitors, we were able to collect a considerable amount of donations for the local food bank. I assure you that I did run them, but I want to replace the affected parts. It is a big deal and should not still be happening in this day and age. These were not free! Would you want the cars you have be falling apart because of zinc pest? I don't think so. Your caviller attitude adds nothing to the discussion. Sorry to hear about the zinc pest. That set did look nice running. It's one you don't see running very often and was a treat to see. On a positive note, I thoroughly enjoyed my visit to your open house. It was great to talk to those I know as well as having the opportunity to meet new hobbyists. Thanks again for your hospitality! Greg it was a pleasure to see you! I regret that I didn't have more time to talk, but as you saw I had my hands full. Hopefully I'll soon replacement parts for my passenger cars. we offer under body details for passenger cars made of pewter so there will be "no zinc rot" with these items. I sold my MTH Railking K-4 that had never been out of the box. The buyer wanted me to test it. 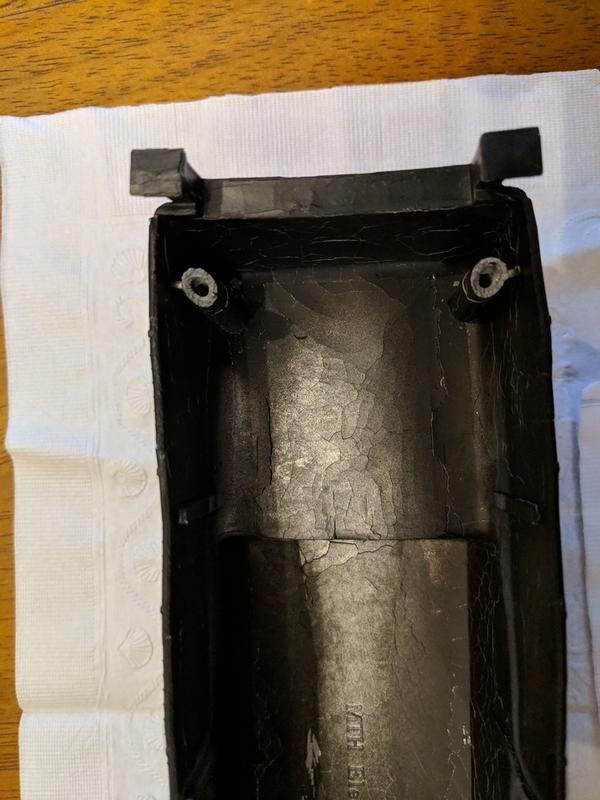 I removed the tender from the original untouched packing, and discovered as I removed the shell, the screw mounting holes broke off, the paint was cracking and the tender shell was bent. Additionally it was clear the screw holes in tge sheet metal chassis never lined up with the cast shell. The tenders on that particular RailKing locomotive are well-known for zinc rot. I believe MTH used to have a supply of replacement tender shells in stock to replace the bad ones. It would be worth a call to Midge at MTH to find out if they still have some. Have the zinc pest problems multiplied since the manufacturers went to China? I'm starting to think that die-cast is on the way out given the advances in 3D metal printing. Incentives to keep die-cast quality high might slowly disappear. So what to do in the meantime? I'm starting to think I should take casting impressions of things like sideframes. I'd be able to cast a resin replica later, should the need arise. Some better start making casting molds so we can cast it all in Brass. -The Guy who made the RCMC & BEMC wiring diagrams. It is not only unfortunate, but really INEXCUSABLE, for these impure zinc alloys to exist, given today's body of metallurgical knowledge and techniques. I suspect a combination of poor or non-existant quality controls or cost cutting by using inferior materials are the culprits here! Wow, that K-4 is heartbreaking. I would be SO disappointed to see that if it were mine... and after that emotion passed, I'd be ANGRY. Angry as can heck. With this topic back in play, I wish to add an update to my original post. 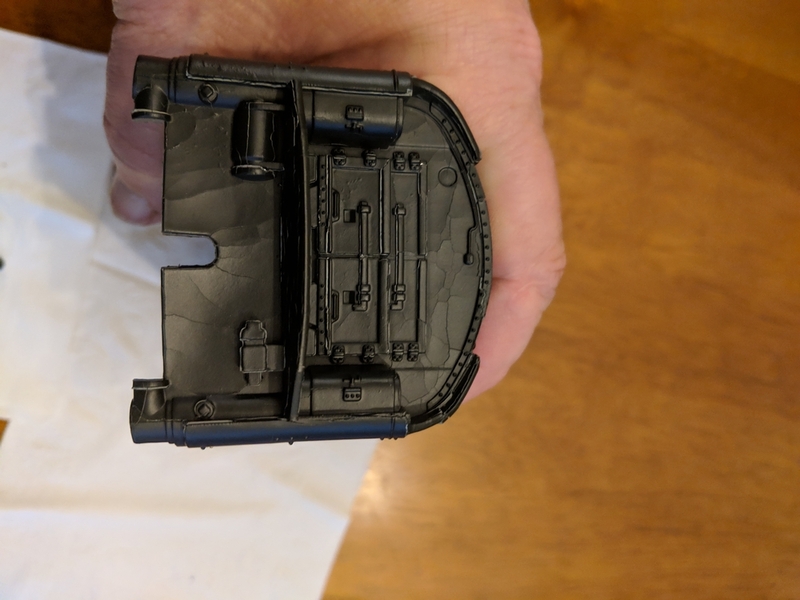 Fortunately, I was able to obtain replacements for the damaged underbody detail casting on my Lionel passenger cars from Lionel. At $10 apiece it did not break the bank and I did buy extras. 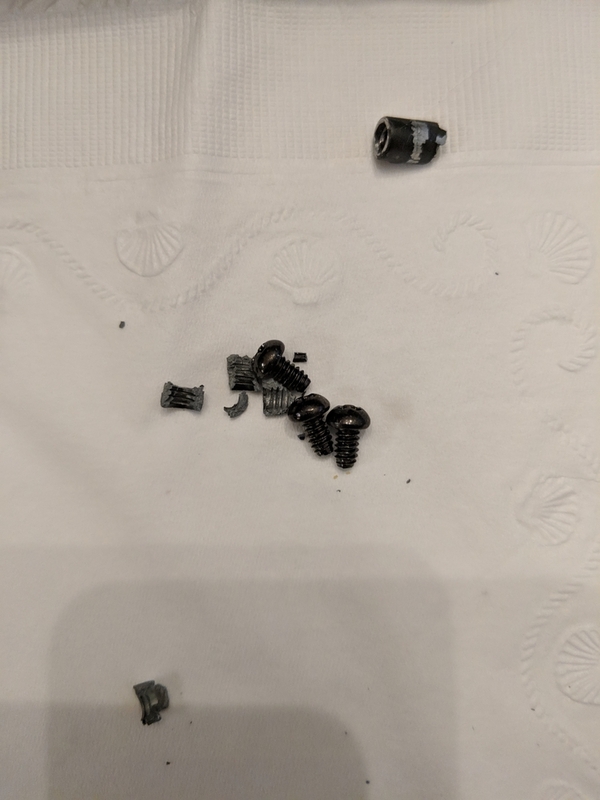 It is becoming increasing difficult to obtain replacement parts for modern generation trains and I was lucky to find these parts still available. I have one of those affected p5a's from MTH as well. I hope the plan from MTH is to just never make these models again. I have been on "The list" at MTH for quite a while. Would be nice to hear from MTH about this. After all they did promise to replace these shells. Laming, thanks for your empathy, but getting mad is not really going to help this situation. I just hope that this is not something I find lurking in more of my collection. 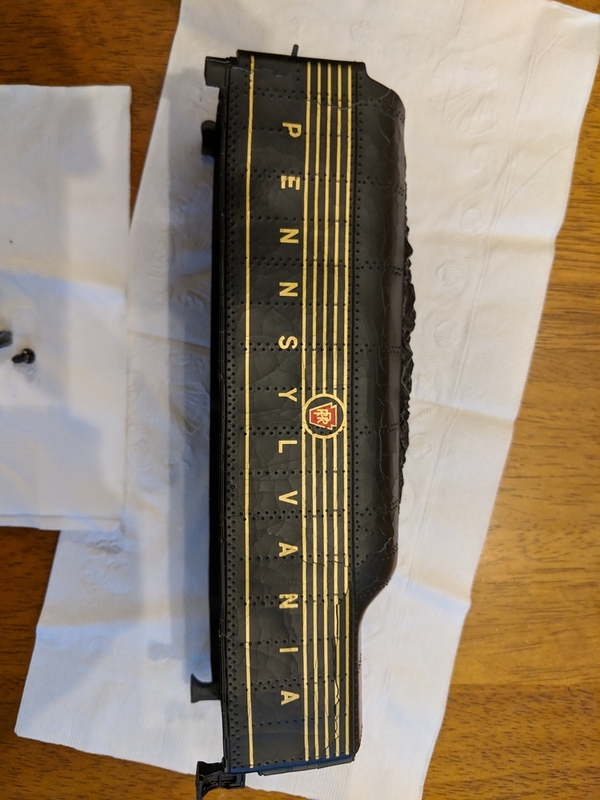 I foolishly collected the MTH Premier Steam Locomotives when they first came out, so I have already lost a LOT of money or should i saw will lose a lot when I sell them, but is was sort of disheartening to make up my mind to start liquidating many of my Proto 1 locomotives as it is cost prohibitive to convert a Rail King product to Proto 2 or 3, and then to find out after I had one sold, I could not deliver it. Some years ago me and my wife bought her father a world war troop train.He never took it out of the boxes,So when he passed away we brought it home and we started to unbox them to put on shelves.One car was severily deformed and 2 other cars the trucks fell apart in my hands all from the Zinc rot crap .Owe well at least we have the memory when he first seen them in a magazine and he wanted them.Plus he loved trains and had a big collection.add on he got me into O Scale trains.So yeah it was disappointment but we got over it. so yeah it will take me along time to find doner cars to fix. Miles, I find the Rail King PS-2 or -3 locomotives to be of a comparative amazing value. For about the same cost of buying a PS up grade package and paying for it to be installed, one can purchase the complete engine with PS working. Sweet! I think most folks would agree with you, train people or not. No excuse for this today, metal isn't being mixed in a back yard. My worry is that the replacements are from the same batch when these things happen. Have seen great shape Prewar items begin to explode like this with no idea what finally triggered the disintegration after all these years. For this to be happening to 10 year old items is very scary. Do those who find this acceptable believe it would be okay with the steering and suspension of autos and trucks? We saw the result of what bad material did to that Southwest jet. Tom, I am not going to convert any RailKing locomotives, only the Premier ones. What is a Proto 1 Premier Cab Forward worth? $400.00 maybe? And how much is a Proto 2 or 3? I think for the large Premier locomotives, it will pay to convert them. Miles: Definitely call Midge at MTH. At one time, MTH did have a number of replacement shells for that tender. Whether or not they still have any is another question. BobbyD: I agree with your concern about the replacements coming from the same batch. Look carefully at them when they arrive! If you do not see any crazing, you may be alright. I suspect there may be multiple batches for that casting. The problem is VERY batch specific! 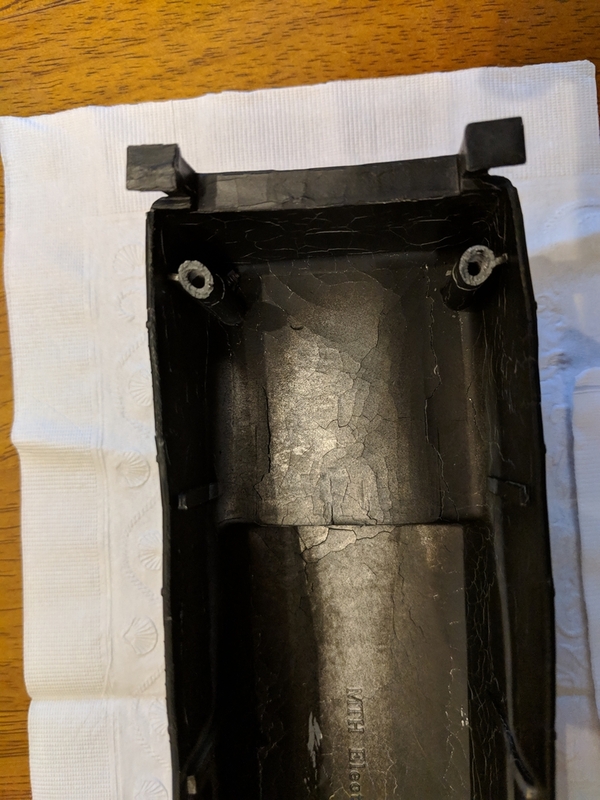 Also, you MAY be able to use one of your less affected under frame castings to make an RTV mold. Then you can cast replacements in plastic. I have not tried this technique, but it does seem to be a logical possibility. Also, the SW jet engine failure had nothing to do with zinc pest. The compressor blades are titanium. The problem was a stress fracture. RickR: Contact Atlas. They ended up with the Weaver tooling for the troop train. I believe they had made extra frames produced to help out those with this problem. Funny I just saw this. I just pulled my Lionel Classics Hiawatha out for a spin. Sure enough the 350E has the pest. The eccentrics are hitting on the sides and the paint has bubbles. 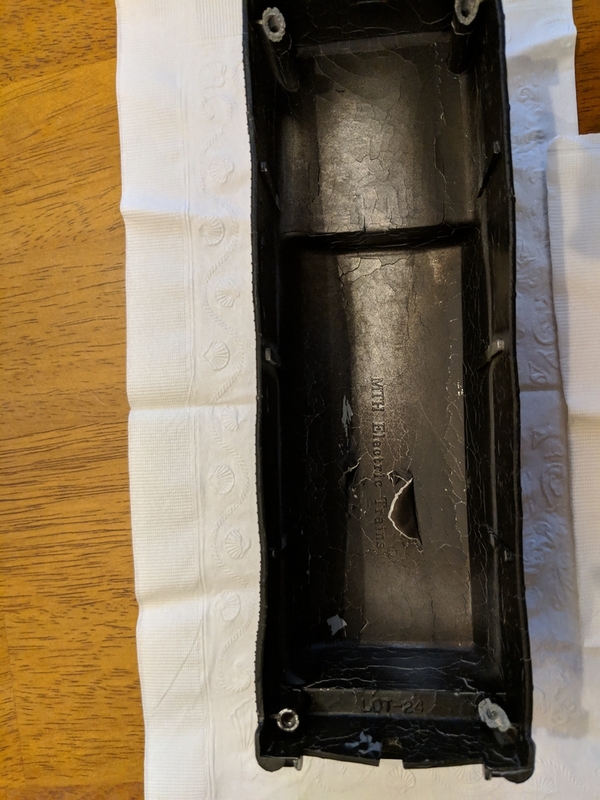 This is the second shell for this set, both shells have the same problem. I looking for another shell but I don't know if I should trust them. I'm thinking of cutting out the narrow parts and see about putting brass in the cut outs and repainting the shells. Then I need to find eccentrics because they broke also. 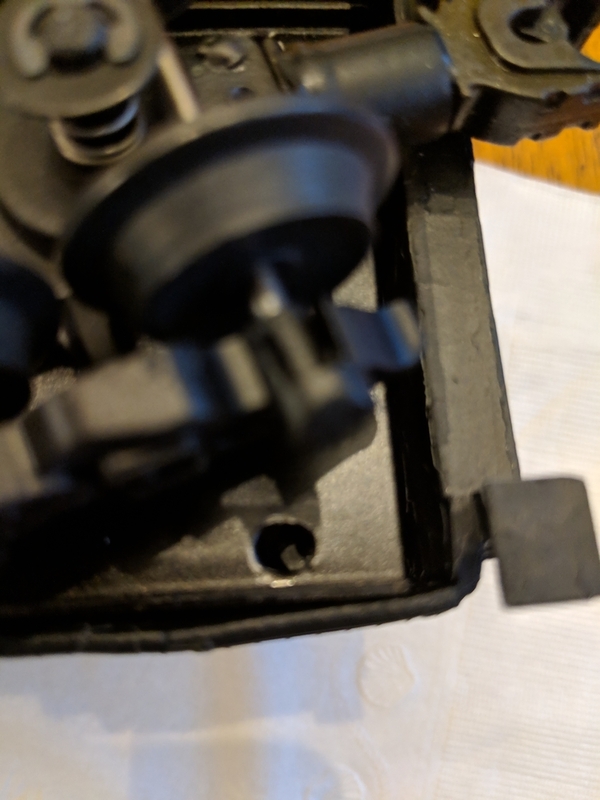 I have a Lionel Classics 2-400E with no issues so far. Samhongsa, a South Korean company respected for their high quality, produced most of the Lionel Classics line for MTH, then in partnership with Lionel. Yet, there have been some zinc pest issues, such as the Hiawatha mentioned above. 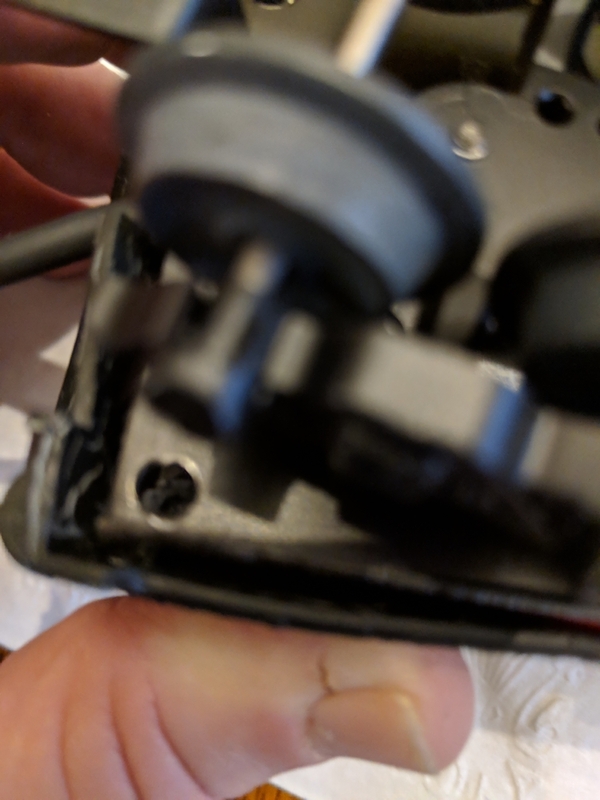 Realize it wasn't Zinc pest, I was pointing out that they don't always examine critical items really well and I doubt preventing this issue in model trains is high on the manufacturers list. There may also be some environmental issues involved as well such as temperature and humidity conditions of storage. Also, contact with certain storage materials or packing over an extended period, which might contain deleterious chemicals. I've been fortunate -- so far -- with all my trains, most of which are between twenty to 80 years old. I still keep an eye on my Classics Hiawatha and 400E and so far so good. It's a shame that some things made only relatively recently are starting to decay at such a rapid pace. 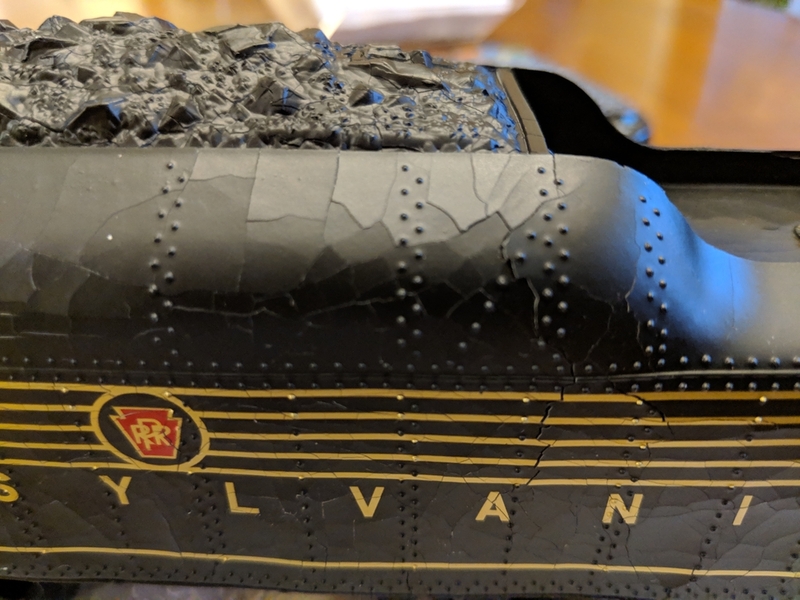 Maerklin has had similar issues with their HO trains in recent years as well, which makes me think twice about paying the often exorbitant prices for something new (regardless of brand) and then living with the notion that I may only get a few years worth of use, if even that. Maybe it is time to discard the zinc alloys and switch to aluminum alloy or brass castings? The added cost of a stable metal casting might well be worth it! Would brass be a suitable casting metal? Maybe the strength/weight ratio of other metals would be such that the thickness of the castings could be reduced, thus helping reduce the cost of the alternative metal or alloy. While environmental issues could definitely accelerate the degradation process, they are unlikely to be the root cause of the problem. 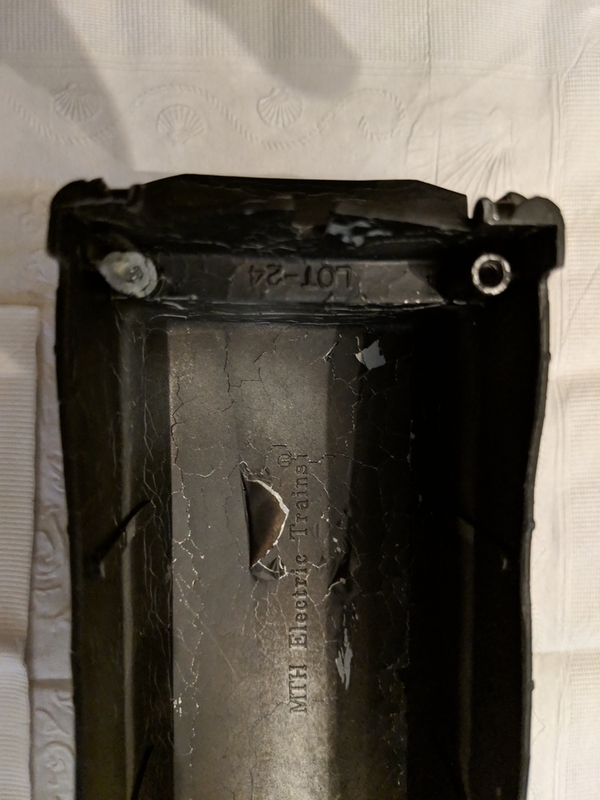 Having tested a few pieces for metal content, I strongly suspect the primary culprit to be contaminated source melt, specifically with high lead content. The mom and pop industries in China use whatever pot metal they find, and there is no QC. We identified the problem back in the 1930s and took steps to fix it. That apparently did not happen in China, and people over there are only now becoming aware the issue and what to do about it. Now you're talking! I would gladly pay more for castings that I know will not fall to dust in ten years' time. The mom and pop industries in China use whatever pot metal they find, and there is no QC. We identified the problem back in the 1930s and took steps to fix it. That apparently did not happen in China, and people over there are only now becoming aware the issue and what to do about it. You're assuming that they care enough to do anything about it. Or that the American companies who import their goods are going to pressure them to clean up their act. This situation will not change until the American importers get some serious pushback from us, the consumers. I agree the root cause is contaminated alloy, especially lead. Our trains cost too much to have the factories playing roulette with key materials! Tinplate Art, I think you're onto something there: aluminum alloy might well be the ticket. I'm sure there's a small manufacturer out there who could do it, although probably not on as large a scale as we're used to. Then again, there are some good, mass produced fly reels machined from solid bar stock aluminum that prove pretty indestructible in environments that no self-respecting train enthusiast would dare operate! 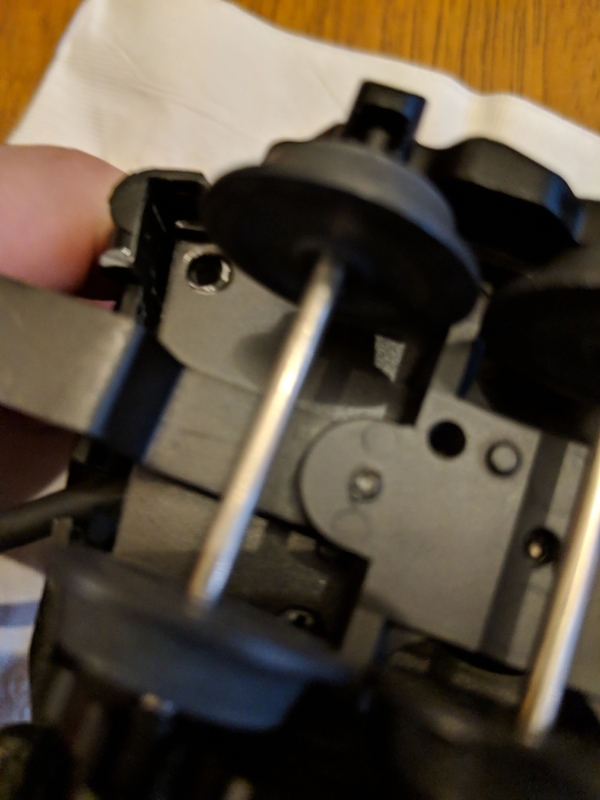 This is not new, or as mentioned above with Maerklin, confined to O gauge, for decades ago, l got in a zamac cast HO brand then common for steam boiler castings, with the boiler warped into a hump. This was a kit new in the box, from, what l remember as Mantua, from a now gone major New York mail order hobby source widely advertised in the magazines. That was my last order. What IS "zamac"? I vaguely recall that the "z" is for zinc? Pages 8, 9 & 10 of the report go to the heart of the matter. 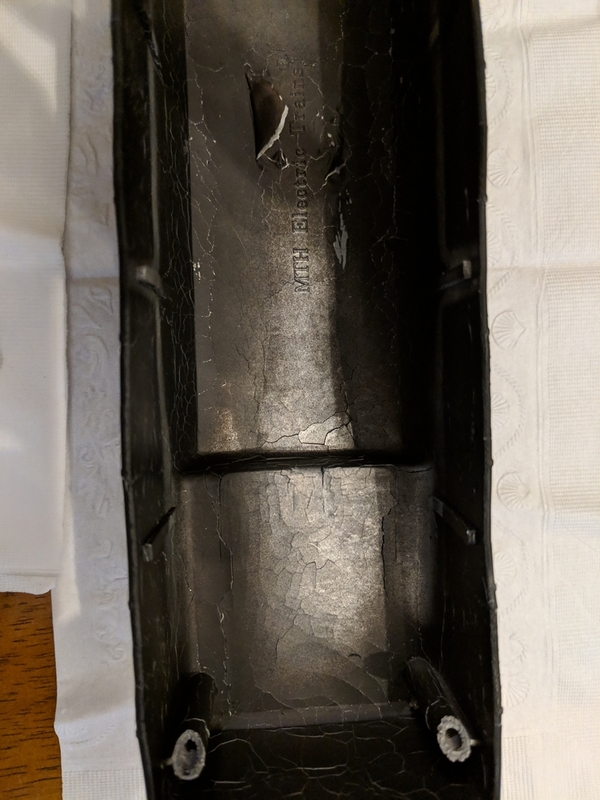 Corrosion-induced cracking of model train zinc-aluminium die castings is caused by small amounts of impurities in the metal, notably lead, cadmium and tin. The corrosion requires moisture to initiate and progress, and is accelerated by higher temperatures. A possible countermeasure is to apply parylene coatings to suspect or slightly damaged items. This would have to be done by specialist firms. I conclude that die casting of metal alloys for longevity items like toy trains is not a good practice. However, a cast plastic body with stamped sheet metal frame is far superior.